Home Herbal Teas Essential Oil Blends Herbal Tinctures Magnesium & Turmeric CBD Oil Single Essential Oils Stevia Customer Reviews! Instead of a huge selection of herbs that can be confusing to so many, here we specialize in choice herbal teas & essential oils to target specific areas of the body. The human body is amazing as it knows what to do to heal itself from all types of illnesses, maladies, syndroms, disease and the like...the trick is knowing what to give it. We have many products to nurture, promote health & balance...& with that....wellness!! We have several original herbal tea blends to help with specific problems: Diabetes Support Tea, Desert Health Tea, Allergy Relief Tea, Sandman's Tea & our signature blend Herbmama's Detox blend. Our CBD Oil has been having some amazing results from our customers! *Stevia Leaf * is our newest 'herbal' addition to our line-up! The Herbal Tinctures -- Astragalus, which is an ancient herb used in TCM and can be very instrumental in the body's immune support! The UTI Remedy is a tincture containing 3 valuable herbs...uva ursi, nettles & dandelion! Dandelion Root is just as it says...the root of that infamous 'weed' that we now know can help to achieve wellness. Herbs have a different way of healing than essential oils do. Our essential oil blends are very popular and highly effective in ways the herbs aren't and that's not necessarily a bad OR a good thing, it's just the difference in the way the 2 healing methods work on the human body. 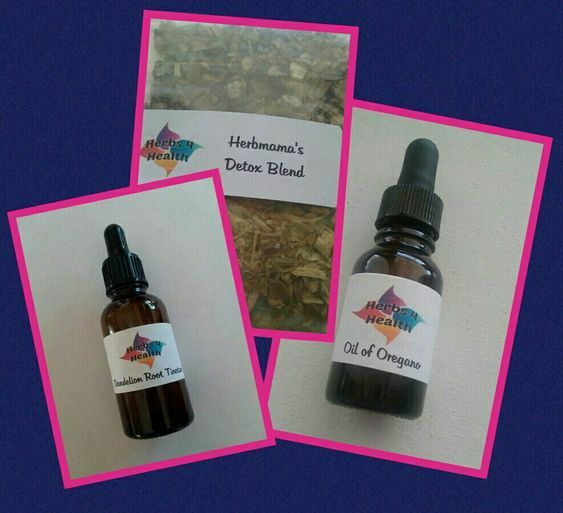 Our essential oil blends are: Quartzsite Krud Kicker, Nerve/Pain Oil & Oil of Oregano. Of course we also offer the individual essential oils Lavender, Lemon, Peppermint & Tea Tree. If there's a specific herb or essential oil you would like to see us carry, just drop me an e-mail and we will see what we can do!! I also do custom blends on special request! So come on in and sit a spell, grab a cup of tea if you like & read all about how our herbs & essential oils can help YOU! Disclaimer: We do not treat, diagnose or cure any type of disease or illness. This website is strictly for informational purposes. Be sure to check out my blog: http://herbmamaswords.blogspot.com for all sorts of information on herbs, essential oils, nutrition and more!!! ​Be sure to "LIKE" us on Facebook, we are Herbs 4 Health!!! Our dot com is Herbs-4-Health! !